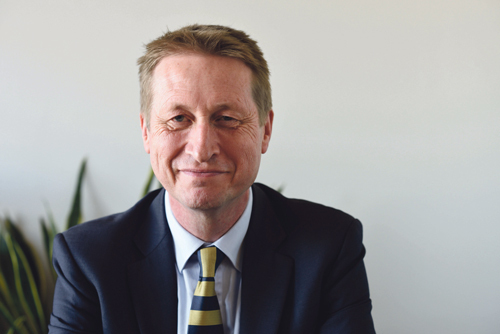 Professor John Iredale, Pro Vice Chancellor (Health) at the University of Bristol, has joined the board of North Bristol NHS Trust. Professor Iredale holds the chair of Experimental Medicine at the university, with responsibility for the research, teaching and management strategy for the Schools of Medicine, Veterinary Medicine, Dentistry and Biomedical Sciences across the relevant Faculties. He also holds honorary consultant contracts with North Bristol NHS Trust and University Hospitals Bristol NHS Foundation Trust. Professor Iredale said: “With my background in health and research I am looking forward to helping guide North Bristol NHS Trust to achieve its ambitions to lead state of the art healthcare and deliver the research necessary to drive new treatments and improvements in outcomes and the quality of care for our NHS patients. The Trust employs 8,000 staff delivering healthcare across Southmead Hospital, Cossham Hospital and Bristol Centre for Enablement and is a regional centre for neurosciences, plastics, burns, orthopaedics and renal.